The higher paths of Mysticism have to do with the preparedness to delve ever deeper in the depths of Being – that state of Being which is the Unknown, the endless infinite realm of the Gods and Goddesses – the Mystery of Life and the Life Force itself. It delves deep into the cosmic consciousness which is sublime and which is the creative force itself, yet is within all Beings and all that ever was created under the Central Cosmic Sun. It is the highest calling of the Illumined State. It takes total commitment and dedication to this path. It is the highest path of supreme purity and it will demand that All. According to the Oxford dictionary a Mystic is a person who devotes their time to profound thought in order to become closer to God and to reach truths beyond human understanding. Its root is the Greek word “mustes” – initiated person. Mysticism is then path of supreme Enlightenment and it is no accident that we inherited the Greek word for this, for in the Greeks always had a great respect for those who sought the ultimate state of Being. In the last few years I have always been led back to Delphi in my own research as to trying to link the Cathars, my own findings, and the Goddess returning, with my own emerging greater picture of the true history of the planet and the Super-consciousness energy fields. At one stage interesting personas started to emerge from the Pyrenees, far more ancient than that of the Cathars and understanding dawned that what they knew, or practiced was something was older and something steeped in the Ancient traditions of Mysticism itself. Interestingly the great fortress of Montségur, the last stronghold of the Cathars, was a temple dedicated to Artemis, as temple of the moon, while further alongside it was the temple of Sun, dedicated to none other than the twin flame of Artemis – Apollo. It was via Apollo that the lyre, that instrument played by the Troubadours came into being, as a gift to the nobles of that region, for Apollo is the custodian of the vibrational frequencies of SOUND. It moves further than this for none other than Pythagoras had his training as High Priest Druid in the Pyrenees and then went on to the temples in Delphi. Moreover interesting the Visigoths of the Pyrenees, later laid siege on the temples of Delphi, where a great treasure was housed. It came to pass that they managed to gain access to the strongholds of those temples and then took that treasure to the Pyrenees. However, a great plague then occurred and people were dying like flies. It was then that the Druids found that this was connected to the treasure and then the whole of this treasure was thrown into one of the lakes in the High Pyrenees. The Druids sealed off the whole area and interestingly nothing grows there. Is it not interesting that the Cathars have also been associated with treasure – a lost treasure? In essence then Delphi held the keys to Mysticism and the Ancient Mystery schools of the Greeks, which were linked to those in Egypt, Haran, and then also the Himalayas. In that then the inner schools were always off limits to those outside of these inner teachings, mainly because of the stringent higher pathways of Mysticism itself. It was no accident that world famous oracle of Delphi formed part of the Ancient Mystery School there. It goes back to Atlantis and what went before Atlantis, for the High Priestesses were highly trained TRANSMITTER channels and had the ability to tap into the Super Consciousness energy fields and transmit the information directly from the Divine Source. They acted then as oracles for the people – but only after they were carefully selected for this task and had to go through intense and immense initiations into the higher paths of Mysticism. Later in Greece as mankind started falling into forgetfulness the role of the High Priestess became watered down, as the male dominance took over. Yet, these Priestesses were also highly trained in the use of sound in higher healing with crystals – more than that the High Priestess of the Temple of the White Flame held the whole energy grid of the Central 7th Sun under her jurisdiction and she could activate this at will. She acted as the Guardian and Keeper of this grid, and she held all the crystal keys and codes. The priestesses also recorded information in recording crystals, which during Atlantis, then were taken underground in order to preserve their knowledge – the Goddess knowledge, the High Priestess knowledge as the female path of Mysticism. The Cathars themselves had two separate branches: they had the lower branch, which was the ordinary man or women and then higher trained parfaits, (and that mostly recorded by the Inquisition because they never gained access to the true teachings of the Cathars, despite burning at the stake thousands and torturing them to death) but another part of these, the upper crust, were carefully trained in the old Goddess pathways of mysticism, and with it the higher understanding of the Teaching of the Sun. The Sun as in higher pathways of Illumination. This linked up with the ancient Druidic teachings, but was even more ancient than that – for it linked up directly with Ancient Ones – a hidden Ancient People who live underground. Montségur itself is a portal to this underground world – for the Ancient Ones never left the planet from the first civilization, and they act as higher teachers, mentors and guides. The Cathars understood that the highest pathways of Illumination were the paths of Mysticism, and therefore one had to go through initiations in the inner and outer planes. 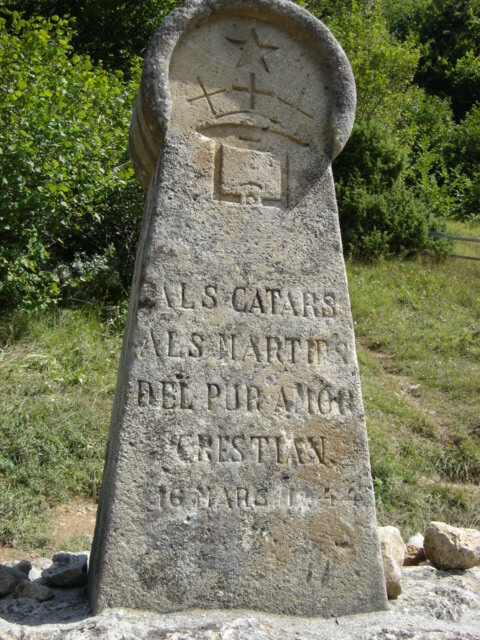 A lot of this has never been understood or misinterpreted – for in essence it is no accident that the Cathars were also known as the PURE ONES. The inner rites of Purity demanded this. In as much as the higher pathways to Mysticism was always held by the Ancient Mystery Schools, it now is a fact that the gateways have opened up so that those souls called on these highest pathways, will now start coming together. They know who they are. They shall come together from east, west, north and south and they shall be the fire of Illumination which shall light up the earth. They are ancient souls, and have been involved with the co-creation of this planet from the very beginning. 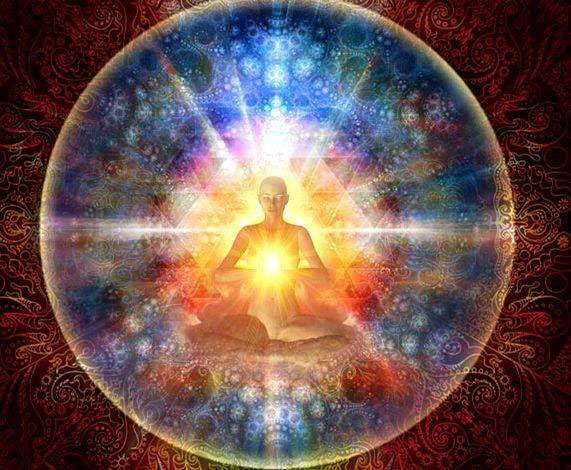 They have incarnated again, to bring about immense consciousness changes in humanity and they will lift humanity through the octaves of Being into that higher conscious state. Within their own souls are encoded and enshrined all the keys and codes for true Illumination and they are all now being activated with the return of the 7th Sun of the 7th Galaxy and the high codes of 777. The ultimate gateways of Illumination have now been opened up in the last two weeks. It will open up immense inner gateways and portals, within those called to carry mankind through and it will like a massive wave of energies surging through with the fires of Illumination. Let those who have ears – hear. Let those who have eyes – see. Let those who need to step out – step out. Les voies plus élevées du Mysticisme concernent la préparation nécessaire pour plonger encore plus profond dans l’antre de notre Etre (Being)—cet état d’Etre qui est l’Inconnu, le royaume sans fin des Dieux et des Déesses—le Mystère de la Vie et la Force de Vie elle-même. Il nous demande de plonger plus profondément dans la conscience cosmique, qui est tout à la fois sublime et force de vie créative ; présente dans tous les Etres et dans tout ce qui a jamais été créé sous le Soleil Cosmique Central. C’est l’appel le plus élevé de l’Etat d’Illumination. Il nous demande un engagement total et un dévouement absolu à la poursuite de notre cheminement spirituel. C’est le chemin le plus élevé de la pureté suprême et il requiert Tout de nous. Le Mysticisme est ainsi la voie de l’Illumination suprême et ce n’est par hasard que nous avons hérité de ce mot grec, les Grecs ayant eu un respect profond pour tous ceux qui recherchaient la voie ultime de l’Etre. Ces dernières années, mes recherches m’ont toujours ramenée à Delphes lors de mes tentatives pour lier les Cathares, mes propres résultats et le retour de la Déesse, avec la vision émergente de l’histoire authentique de notre planète et les champs énergétiques de la Supraconscience. A un certain stade, des personnes intéressantes sont apparues dans les Pyrénées, bien plus anciennes que les Cathares, et j’ai réalisé que ce que ces personnes savaient ou pratiquaient était quelque chose de très ancien, imprégné des traditions Anciennes du Mysticisme lui-même. Curieusement, la vaillante forteresse de Montségur, le dernier bastion des Cathares, était un temple dédié à Artémis, un temple de la lune ; devenant un peu plus tard un temple du Soleil, dédié à la « flamme jumelle » (twin flame) d’Artémis, Apollon. Ainsi, c’est grâce à Apollon que la lyre, cet instrument utilisé par les Troubadours, a vu le jour en tant que cadeau à la noblesse de cette région ; Apollon étant le gardien des fréquences vibratoires du SON. Pythagore lui-même a reçu un enseignement en tant que Grand Prêtre dans les Pyrénées avant de s’en retourner vers les temples de Delphes. Qui plus est, les Visigoths vivant dans les Pyrénées ont fait le siège des temples de Delphes ou ils ont découvert un trésor précieux. Ils ont réussi à obtenir l’accès à ces temples et ont ramené ce trésor dans les Pyrénées. Une épidémie de peste s’est alors déclarée et les habitants de la région ont commencé à tomber comme des mouches. Les Druides réalisèrent rapidement que cette épidémie était liée au trésor et celui-ci fut jeté dans un lac des Hautes Pyrénées. Les Druides scellèrent cet emplacement et, curieusement, rien n’y pousse depuis. N’est-il pas intéressant de constater que les Cathares ont aussi été associés avec un trésor—un trésor perdu ? En fait, Delphes détenait les clefs du Mysticisme et des Ecoles des Mystères des Grecs, qui étaient liées avec celles de l’Egypte, d’Haran et de l’Himalaya. Ces écoles du cheminement intérieur n’étaient pas accessibles aux non-initiés, en raison notamment des hautes exigences requises par la pratique du Mysticisme. Ce n’est pas par hasard que l’oracle de Delphes faisait partie des Ecoles des Mystères de cette région. Tout cela nous ramène à Atlantis, et à ce qui s’est passé avant Atlantis, alors que les Grandes Prêtresses étaient spécialement formées pour devenir des TRANSMETTEUSES ; elles possédaient le don d’accès aux champs énergétiques de la Supraconscience et pouvaient directement transmettre l’information en provenance de la Source Divine. Elles faisaient office d’oracles pour les personnes intéressées, ayant été choisies avec grande précaution et ayant suivies des initiations intenses et considérables dans les voies élevées du Mysticisme. Un peu plus tard, en Grèce, alors que l’humanité commençait à sombrer dans l’oubli, le rôle de ces Grandes Prêtresses commença à diminuer en meme temps que la gente masculine prenait le pouvoir. Ces Prêtresses étaient également formées à l’utilisation du son et des cristaux dans le but de guérir. De plus, la Grande Prêtresse du Temple de la Flamme Blanche soutenait tout le réseau énergétique du Centre du 7eme Soleil et pouvait le mettre en œuvre délibérément. Elle agissait en tant que Gardienne de ce réseau et conservait avec elle les clefs et les codes des cristaux. Les Prêtresses enregistraient également des informations dans des cristaux qui, du temps d’Atlantis, ont été enfoui afin de préserver leur savoir – la Déesse du Savoir, la Grande Prêtresse du Savoir en tant que voie féminine du Mysticisme. L’Eglise Cathare comprenait deux groupes: le premier était constitué par les hommes et femmes ordinaires, ou croyants ; les Parfaits, d’un niveau spirituel plus élevé, étaient des êtres humains formés au cheminement mystique des Déesses, ainsi qu’à l’Enseignement du Soleil. Ces informations ont été obtenues par l’Inquisition qui n’a jamais, en fait, eu accès aux enseignements authentiques des Cathares, bien qu’elle ait usé de la torture et du bûcher pour leur soustraire ces informations. Le Soleil était une voie d’acces à l’Illumination. Cela nous ramène aux enseignements des Druides, mais il s’agit en fait d’informations bien plus anciennes—qui font le lien avec les Anciens (Ancient Ones)—un peuple d’Anciens qui vivait sous terre. Montségur lui-même était un portail d’accès à ce monde souterrain; les Anciens n’ont en fait jamais quitté notre planète, depuis leur apparition lors de la première civilisation, et ils ont ainsi joué le rôle de Grands Prêtres ou de Guides. Les Cathares savaient que la voie qui mène à l’Illumination était celle du Mysticisme et, par conséquent, ils suivaient une série d’initiations sur les plans à la fois intérieur et exotérique. Ce cheminement a rarement été bien compris ou bien interprété, car en fait ce n’est pas un hasard si l’on appelait les Cathares des ETRES PURS. Les rites intérieurs de Pureté exigeaient cette rigueur. Dans la même mesure ou la voie mystique était détenue et enseignée par les Ecoles des Mystères, il est maintenant établi que des portails se sont ouverts afin que les âmes qui se sentent concernées par cette voie mystique se retrouvent. Ces âmes savent qui elles sont. Elles se regrouperont en provenance de l’est, de l’ouest, du nord et du sud et elles formeront un « feu de l’Illumination » qui enflammera la terre toute entière. Ces âmes sont des âmes anciennes qui ont été impliquées dans la cocreation de notre planète depuis son origine. Elles se sont réincarnées et vont engendrer un changement de conscience important pour l’Humanité ; elles vont élever l’Humanité à travers les octaves de l’Etre jusqu’à un niveau beaucoup plus avancé. Ces âmes possèdent en leur sein les clefs et les codes de l’Illumination authentique et ceux-ci sont maintenant activés avec le retour du 7eme Soleil de la 7eme Galaxie et les codes supérieurs du 777. Il est temps. Les portails de l’Illumination ont été ouverts au cours des deux dernières semaines. Que ceux qui doivent se lever se lèvent ! This entry was posted in Authors, My Personal Path and tagged Ancient Ones, Cathars, Druids, High Priestess, Judith Kusel, Mystery Schools, Mysticism, Pythagoras, Spiritual path. Bookmark the permalink. Merci chère Elisabeth de ta visite. Oui, plus facile et plus sympa en français. Cela m’amène à une autre question: j’ai reçu 2 ou 3 requêtes pour animer une émission spirituelle en français, similaire à celle en anglais mais très certainement avec des sujets et des thèmes différents. J’imagine que tu serais potentiellement intéressée. La station avec laquelle je suis me propose éventuellement le samedi. Est-ce que cela t’arrange et vers quelle heure, stp? Je fais à l’heure actuelle un tour d’horizon, en fonction tout d’abord des différentes possibilités sur les plans technique et financier, et ne pense pas commencer cette émission en français avant début mai ou même juin. Le soleil brille-t-il de ton cote? Il vient de se cacher ici. Quant aux modalités, difficile de prévoir, vois de ton côté ce qui t’arrange le mieux mais il serait bon que l’on puisse l’écouter en replay, si on ne peut pas être présent. Ravie que tu aies cette possibilité, tiens-moi au courant. Je te posais la question concernant le samedi car, comme tu le sais fort bien, les Français aiment bien les débats et les échanges verbaux. Je pense donc qu’il y en aura beaucoup plus avec cette émission en français, d’où la nécessité d’avoir une plateforme qui nous permet les échanges “en direct” (pour l’instant, c’est uniquement par téléphone), et un jour + une heure qui convient à un maximum de personnes. J’ai déjà deux personnes qui m’ont fait part de leur intérêt en tant qu’intervenants, et le sujet de ces deux personnes a trait à la sante – “sante et spiritualité” me semble un bon titre pour commencer. Très belles amitiés, avec un beau soleil ici. Bien sûr, l’idée des échanges est très tentante, cela dit, il m’est toujours difficile de prévoir mon emploi du temps. Tiens-moi au courant et belle fin de semaine, avec toutes mes amitiés. Merci chere Elisabeth pour cette nouvelle reponse. Est-ce qu’un jour de la semaine a 21 heures, ou peut-etre 22 heures, te conviendrait mieux? 22 heures, ca commence a faire un peu tard, non? Tres belle fin de semaine – on y est presque!